K Chandrashekar Rao is on a national political pilgrimage of sorts, purportedly aimed at building a non-Congress, non-BJP political front. However, he appears to have two other objectives. Firstly, KCR wishes to carve out a space for himself in national politics after putting in place a firm succession plan back home. His son KT Rama Rao has been made working president of the TRS immediately after the Assembly elections, and is poised to take over from his father as and when KCR shifts to national politics. Secondly, KCR’s objective will be to win the maximum possible seats out of 17 Lok Sabha constituencies in Telangana. The TRS chief would want a non-Congress, non-BJP political narrative to convince the electorate in 2019, at a time when the choice for them is polarised between the Narendra Modi-led BJP and the Congress. KCR led his party to a landslide victory in the recently-held Assembly elections, and is expected to sweep the Lok Sabha seats in the state, unless some unprecedented political developments occur. In 2014, the TRS won 11 out of 17 Lok Sabha seats, while the Congress’ tally was reduced to only two. The TDP, MIM, BJP and YSR Congress had secured victory in one seat each. However, if the voting pattern from the Assembly election is repeated in 2019, the TRS is expected to win at least 14 seats while its ally, the MIM, is likely to retain the lone Hyderabad seat, which it represents in the present Lok Sabha . 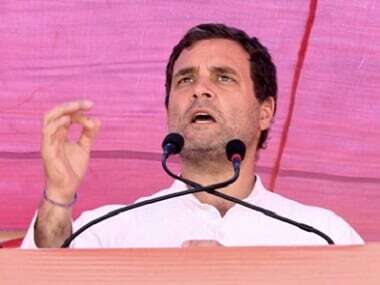 The Congress led People's Front, which defeated the TRS by a narrow margin in two seats — Khammam and Mahabubabad — will find it extremely difficult to win these seats this time. The TRS has already started wooing the Opposition MLAs who have won Assembly seats which are a part of these two parliamentary constituencies. The two TDP MLAs who won from this region are expected to join TRS, and one of them is likely to be inducted into KCR’s cabinet. The TRS, despite having won 88 out of 119 seats and getting the support of two Independent MLAs, is still poaching Opposition MLAs with an eye on the Lok Sabha polls. KT Rama Rao has already asserted that his party will win 16 out of the 17 seats, leaving the remaining one for its ally, the MIM. The TRS also hopes that the grand alliance may fizzle out by the Lok Sabha polls. Going by the voting pattern in the Assembly elections, the Congress has some chance only in two seats. However, its allies, the TDP and the CPI, may also want to contest from these two seats, namely Khammam and Mahabubabad. In 2014, the TDP had won two seats in this region. The CPI had contested the Khammam seat in 2014 in alliance with the Congress. The YSR Congress had won the Khammam seat in 2014. However, its lone MP defected to the TRS, and the party has already announced its intention not to contest in Telangana. With the BJP losing ground in national politics and the Congress not yet ready to fill the space, KCR hopes for a more decisive role for the regional parties in the formation of the central government in 2019. 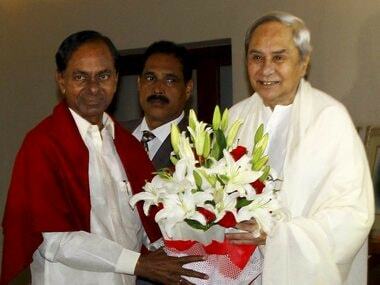 If the TRS gets 14 to 15 seats, KCR may play a critical role in the fractured verdict and splintered polity. The Congress is the TRS’ principal opponent in Telangana. The BJP is weak in the state, and got further decimated in the recent Assembly elections. The saffron party lost four of the five seats it held earlier. It even struggled to save its deposits in most of the seats, even as it contested in more than 100 of 119 seats. Thus, the BJP's claim of emerging as an alternative to the TRS is totally misplaced. The party may not even retain the Secunderabad seat represented by its veteran leader Bandaru Dattatreya, if one looks at the voting pattern in the recent Assembly elections. At a time when the national political mood is polarised between the BJP and Congress, KCR fears an advantage for the latter. This is precisely why he resorted to premature dissolution of the state Assembly, paving the way for early polls. 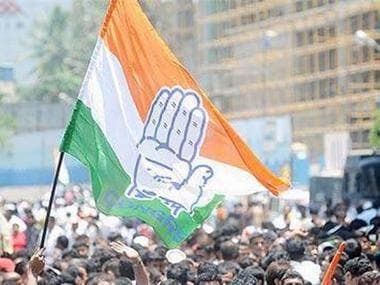 Meanwhile, Congress leaders express optimism in public that the 2019 polls will be favourable to them in Telangana, given the anti-Modi political mood and the party winning three states . Given this political reality, KCR has cleverly proposed a non-BJP, non-Congress federal front in 2019. The TRS has sought to justify his political moves by claiming that they are aimed at securing a better bargain for Telangana vis-à-vis the Centre. 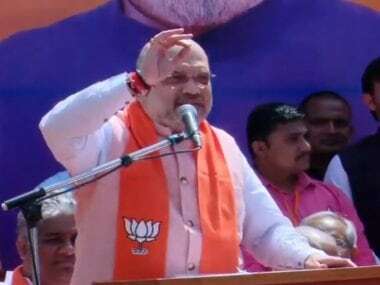 His talk of an alternate policy agenda only serves to camouflage his political strategy, given that the regional formations which KCR has approached have displayed political pusillanimity and have not demonstrated any clear commitment to alternative policies. Several regional parties have aligned with both the Congress and BJP at different points of time. They have not even shown any steadfast commitment to federalism, leave alone chalking out an alternative policy trajectory. Further, their actions have been motivated by their interests in their home states, and thus, they lack a national political agenda. 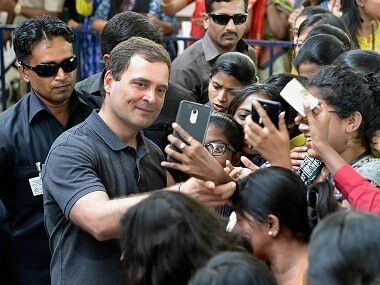 Rahul Gandhi pitches NYAY as a remedy to demonetisation ills; but can his idea work on the ground?